Leather jackets will forever be a go-to outerwear piece that we can slip into no matter what season we’re in! They give ensembles an instant edge and can be worn with so many styles. While our leather jacket collection is pretty extensive, we are always looking out for a gorgeous new design to add to our lineup. 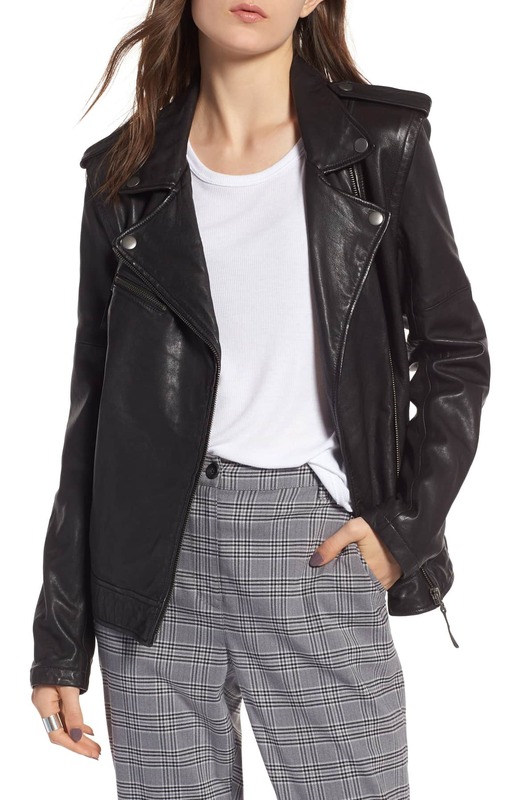 Lucky for our closets, there’s a super cool convertible leather jacket sitting in the Nordstrom sale racks that we plan on scooping up. The Treasure & Bond Convertible Leather Jacket has all the classic details we love, including a notched collar, a lapel with snap-down points and a zip up closure. 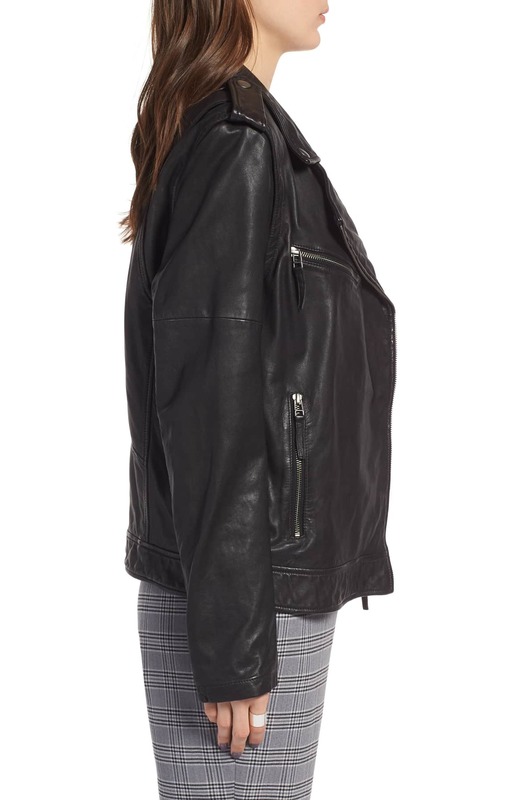 See it: Snag the Treasure & Bond Convertible Leather Jacket (marked down 40 percent off its original $329 price, now $197) while it’s available in all sizes. The shoulders have a sharper finish that give the jacket an extra spicy appeal and they appear that way because the sleeves actually zip off of the leather topper! Yes, this design converts into a super chic vest that creates even more layering options. We’ll be layering the leather jacket on top of everything from shirtdresses and sweaters to jeans and boots combinations. With the unzipped sleeves, we can style the vest on top of other cool jackets, blazers, long sleeve dresses and even sweaters. Shoppers who purchased the gorgeous leather topper raved about how soft the material feels. Although its design falls more on the casual side, a few reviewers shared that they wear it to work. Several shoppers shared that the design fits a little tight around the waist and hips and they ultimately had to size up. Sizes range from extra small to medium, but shoppers are snatching this jacket up left and right. Since the Treasure & Bond jacket is exclusively available at Nordstrom, it’s best to grab it on sale before it sells out. 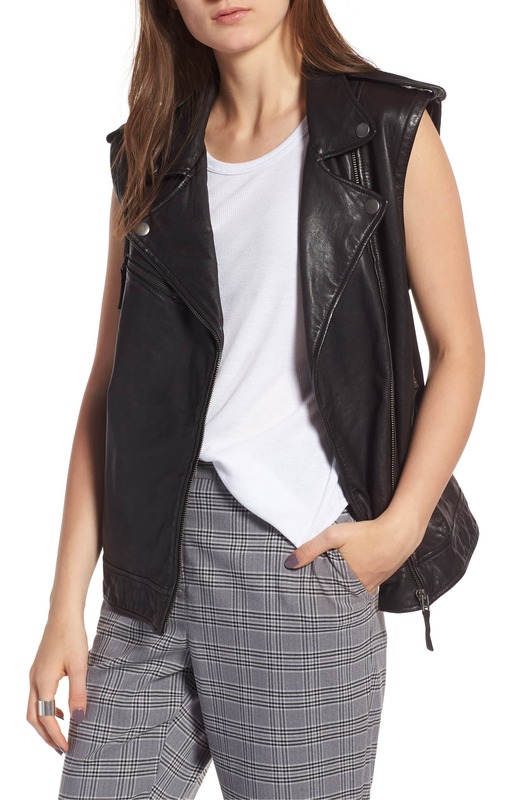 See it: Snag the Treasure & Bond Convertible Leather Jacket (marked down 40 percent off its original $329 price, now $197.40) while it’s available in all sizes.